By now I'm sure you guys know how nerdy I get over my tools and systems. 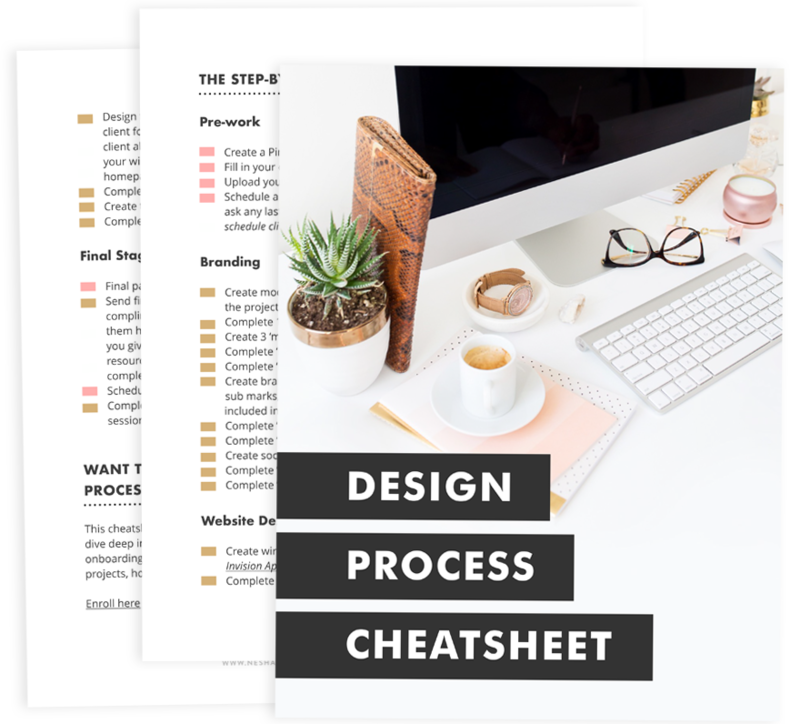 I love, love, love how many fun and useful tools there are that make running a design business a little easier. This is not an article slamming Mailchimp. In fact, I really like the platform and I'm not the kind of person who would write nasty things about anyone or any tool. 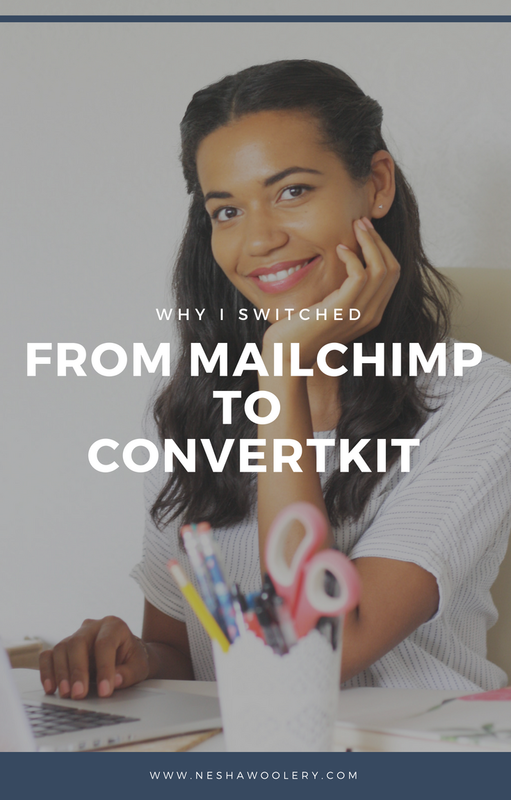 Instead, this is a post talking about why I felt my newsletter needs could be better suited elsewhere and why I chose Convertkit over the dozens of other newsletter providers out there. Mailchimp had been working pretty well for me so far. I was paying about £30 per month and I was sending about 3 or 4 newsletters per month. It wasn't until I started taking my newsletter more seriously that I began to realize that I needed something with better functions that Mailchimp. 3. Mailchimp doesn't allow you to segment across lists, so if you have more than one list (like me!) then that's a little frustrating. 4. Finally, Mailchimp doesn't allow you to have multiple forms for one list. So if I wanted to give out a free eBook to subscribers who signed up through one blog post, but I wanted to give a free checklist to subscribers who sign up through a different blog post, I had to use Leadpages which is an extra expense on top of what I already paid for Mailchimp. 1. Their support team is really friendly and incredibly helpful. They sent me lengthy emails walking me through things I couldn't figure out and they always emailed me to check in and see how I was doing. 2. Mailchimp is a huge company so they can roll out updates and new features quickly, their support team can get back to you quickly, and everything runs smoothly for their customers. 3. Lastly, Mailchimp integrates with pretty much anything, like the Squarespace newsletter block for example, so that's handy. Mailchimp has the basics down but I didn't feel like it was built for true email marketing. That's when Convertkit came into the picture! 1. Responsive and beautifully designed email opt-ins. I used to hate Mailchimp opt-ins because, once you pasted the code onto your site, the opt-in looked ugly and required a lot of tweaking. But Convertkit's opt-ins are minimal and sleek. You can easily customize them and they're responsive! That means that wherever you add them to your site they'll look great, whether that's your homepage or your sidebar. 2. Easy-to-use drip email courses. This is my favorite feature by FAR! In fact, it's one of the main reasons why I switched to Convertkit. I wanted to create an email course and Convertkit makes it super easy to set up courses. You just click the 'Courses' tab at the top of the page, click 'Create course' and Convertkit shows you the perfect email sequence for maximum conversions. Take a look below! 3. One subscribers only ever counts as one subscriber, no matter how many times they sign up. Isn't that just liberating?! Seriously. Your current subscribers can sign up to five of your courses if they want to and they won't be counted as five separate subscribers. So, say someone signed up for a free module from your course but then totally forgot about your course. With Convertkit's automation rules you can send specific subscribers a follow up email after they've gone through the module. 6. Convertkit can replace Leadpages. Ready for this? Convertkit allows you to create landing pages (like Leadpages!) and also allows you to create buttons that, when clicked, pull up an opt-in form (like Leadboxes!) You could totally replace Leadpages with Convertkit if you wanted to. Convertkit forms show how many people have seen the form, how many have opted in and what the conversion rate is. It's a quick and easy way of seeing exactly which opt-ins perform the best on your site! So far, I've been loving Convertkit. It's a new company so they're working at making it even better, but it's off to a seriously awesome start. Want to discover more tools to help you run your biz? Enter your email to receive a downloadable list of my favorite business tools!